Zendaya, Zendaya Maree Stoermer Coleman to be exact, is and American actress and singer. Zendaya started off her career modelling for the department store Macy's, before being cast in Disney Channel's Shake It Up as Rocky Blue. The role lasted for 3 years and skyrocketed her career, Zendaya got a record deal and released her first music album in 2012. The child star went on to star next to Bella Thorne in the film Frenemies, followed by Zapped. Zendaya is currently working on Disney's K.C. Undercover, where she plays the lead, and is staring next to Tom Holland in the much anticipated Spider-Man: Homecoming. Wait - didn't she used be in that Disney show Shake It Up? 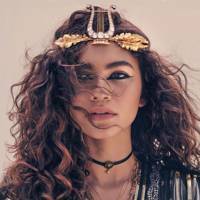 Zendaya: "If people know your name, they should know it for a reason"